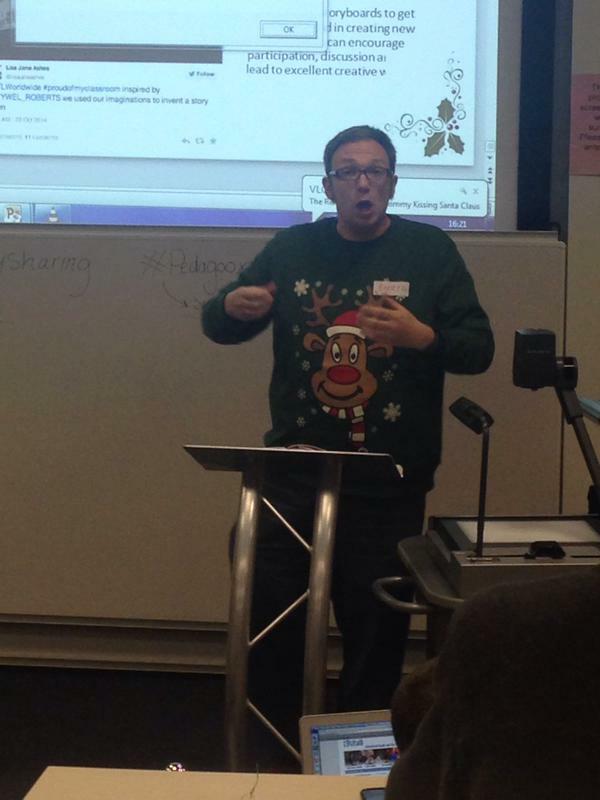 The third Pedagoo Christmas Party took place on 6th December at Newcastle University. Organised by Pedagoo Curator Lisa-Jane Ashes (@lisajaneashes), supported by a few elves (including myself), the day aimed to encouraging sharing of teaching ideas, but to go a step further and actually begin to develop new ideas. The event was sponsored by the kind folk at Vision for Education with prizes provided by Crown House Publishing. 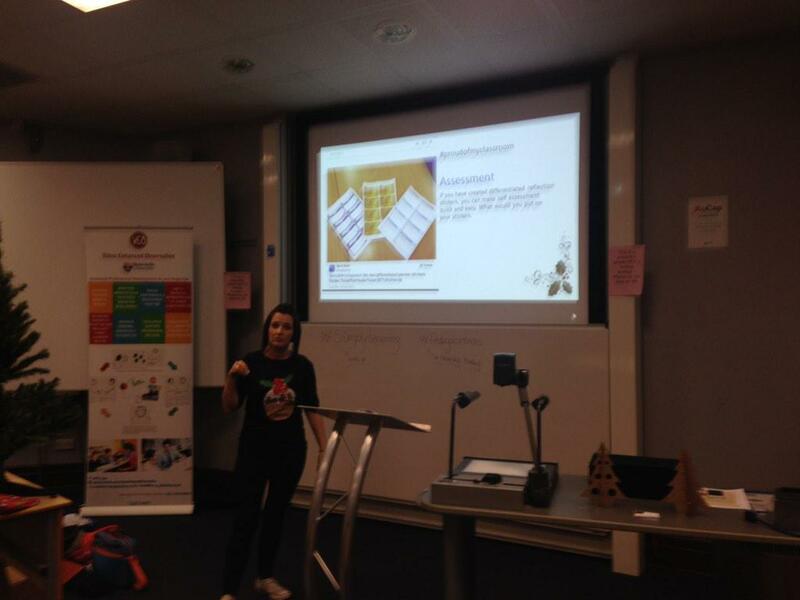 Lisa kicked off the event with a welcome and an explanation of the ethos around sharing in a supportive environment – the hashtags for the day were #pedagooxmas and #simplysharing. Christmas crackers were shared and then we were off… despite some competition from the rather jubilant crowd at nearby St James’ Park (NUFC beat Chelsea 2-1…). The afternoon involved themed breakout mini-teachmeets, a break at half-time to hear some speakers and grab a mince pie, followed by further discussions in our breakouts about how to develop and adapt the earlier ideas. The themes were Literacy for Life/EAL, Questioning, Effective Learner/ Teacher Behaviours/ Assessment to support learning, Engaging the Disengaged and Home Learning. I chaired the Literacy for Life session and written up the ideas and discussions. 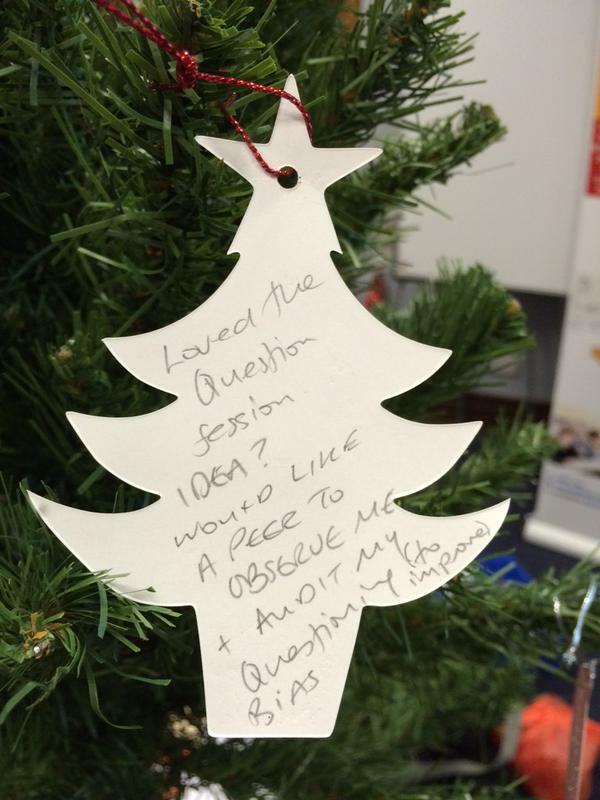 During the break, we added the most memorable take-away ideas from the mini-teachmeets as decorations on the Pedagoo Xmas Tree of Knowledge. 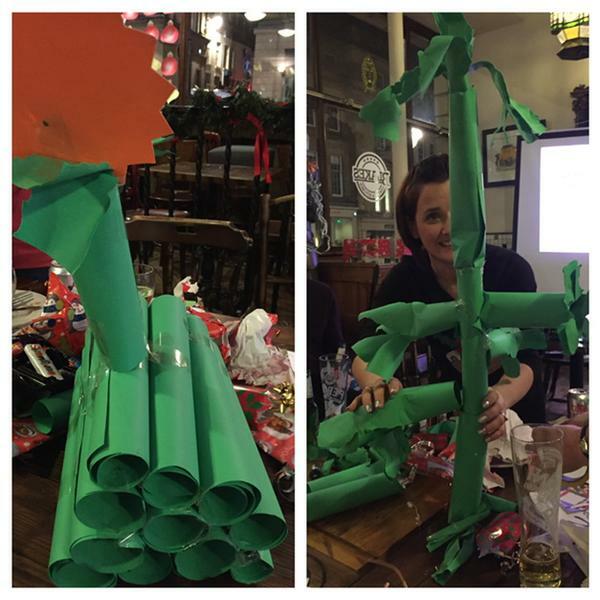 Sam Bainbridge (@Beetlebug1) had us working as teams and building some, erm, quite interesting looking Christmas trees. Kerry Pulleyn (@kerrypulleyn) guided us on formulating questions. Kamil Trzebiatowski expanded on his EAL teaching and talked about sharing collaborative teaching with mainstream and EAL learners. Mark Anderson (@ICT_Evangelist) gave tips on using technology to enhance our teaching and gave a few examples how. He had us colouring in pictures and showed what ColarApp can do – I won’t spoil the surprise but I’d recommend giving it a go! (if you want to see, check out the video on the ColarApp web site). Simon Finch (@simfin) gave an impassioned talk about the importance of digital literacy and questioning the truth in what you see. I followed Simon with a similar point about the recent meme about MPs attendance at House of Commons debates. My tip was to think through key questions to ask about reliability, authority etc – eg does it pass the CRAAP & GUT tests? Barry Dun followed up the daytime session, revisiting the questions we had placed in the Question Box earlier. 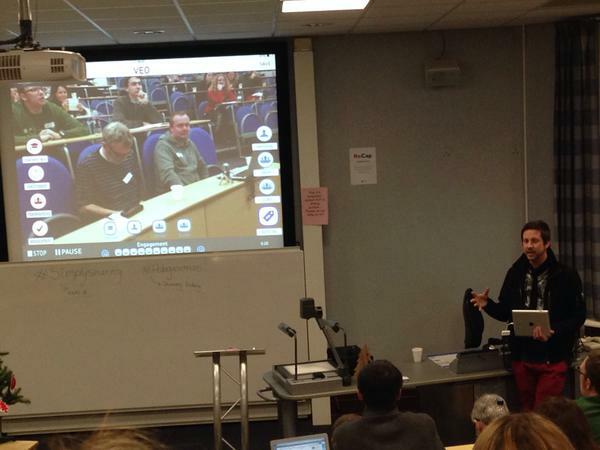 This resulted in, shall we say, some quite lively conversations about the future of teaching. He’s written up a post about the questions and suggested a follow-up discussion via the hashtag #riddlemethised – read more in his post ‘Just one more thing’ (no prizes for guessing which question was mine!). 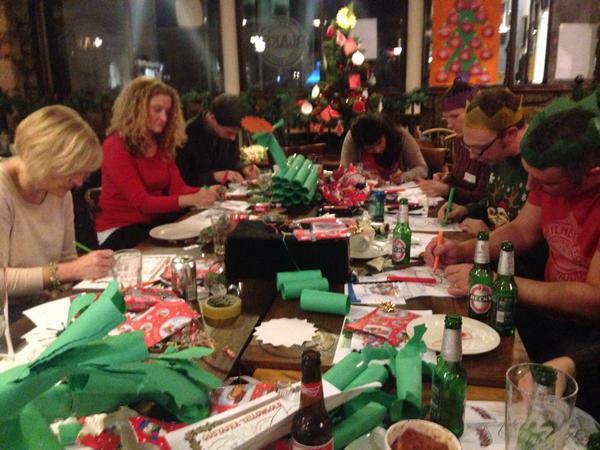 This event showed the passion and commitment of teachers to their CPD and their students. It was great to mix and learn from each other and keep that enthusiasm going. 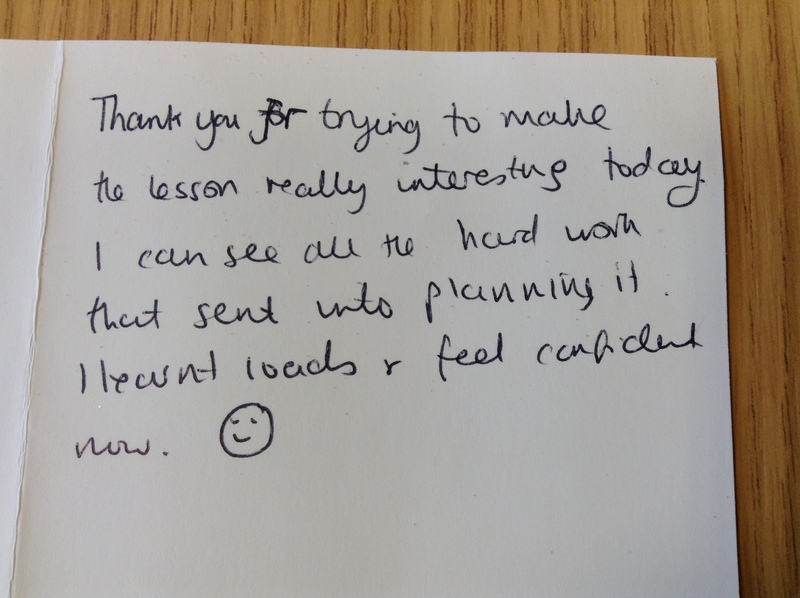 The event was attended by some newly qualified teachers and trainee teachers and it was good to see them feeling inspired by the day. 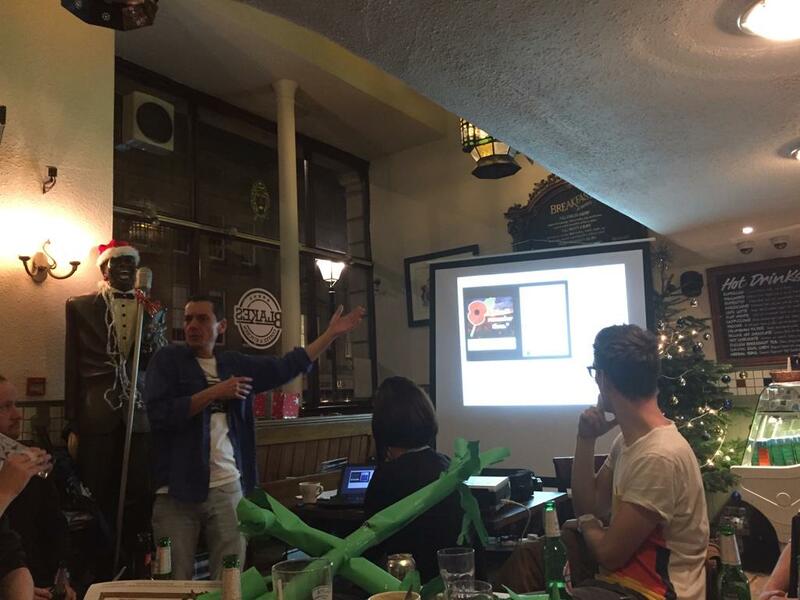 If you need a boost of inspiration in the New Year, I’d recommend checking out Pedagoo.org or looking out for TeachMeets / Library TeachMeets in your area, to mingle with like-minded ‘learning geeks’! A final thought came from the Christmas card I picked out – Lisa had asked us to write a message of support to a teacher and we picked out the cards at random later on – I think it sums up the day well! Take a look at Mark Anderson’s Storify for another viewpoint of the day. (I’ve included lots of photos that were posted to twitter – if you mind please let me know and I’ll remove). 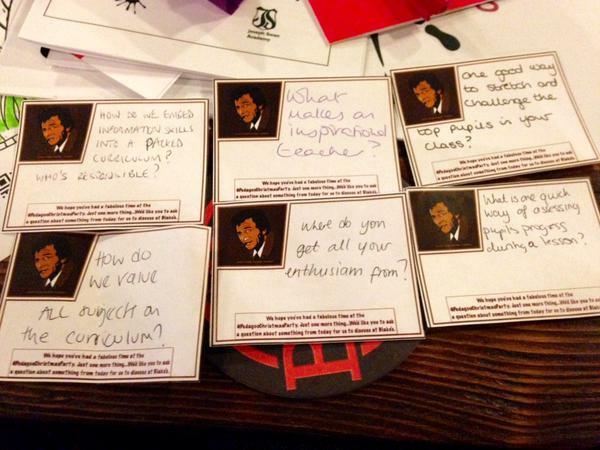 This entry was posted in CPD, Pedagoo, Reports, TeachMeets. Bookmark the permalink.